Unless you've made nondeductible contributions, the entire traditional IRA distribution is taxable. 2. Do I Have to Wait Five Years Before Taking Money Out of a Roth IRA? Traditional individual retirement accounts let you defer taxes on your income until you start taking distributions. No matter how much your IRA grows, if you don't take anything out, you won't owe taxes on it. When you do take distributions, it counts as ordinary income, so the tax rate you'll pay depends on your tax bracket. In addition, if you're not at least 59 1/2 years old, you'll owe an extra 10 percent tax penalty unless an exception applies, such as medical premiums while unemployed or higher education expenses. Divide the amount of nondeductible contributions in your IRA by the IRA value at the time you take the distribution to figure the nontaxable portion of the distribution. For example, if your IRA contains $15,000 in nondeductible contributions and is worth $300,000, divide $15,000 by $300,000 to get 0.05. 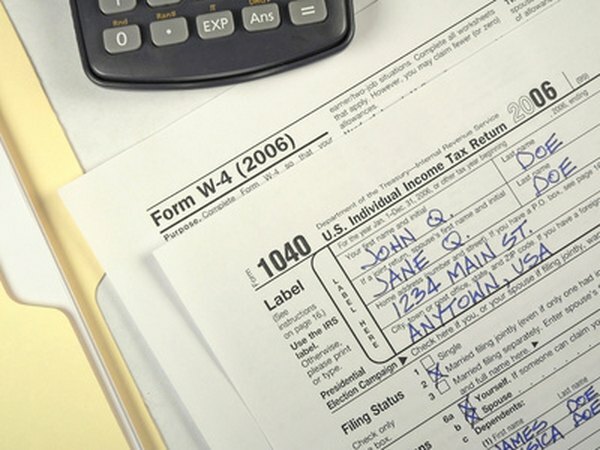 If your IRA has no nondeductible contributions, skip to Step 4. Your entire distribution is taxable. Subtract the nontaxable portion from 1 to find the taxable portion. In this example, subtract 0.05 from 1 to get 0.95. Multiply the taxable portion by the amount of the withdrawal to figure the taxable income from the distribution. Continuing the example, if you took out $12,500, multiply $12,500 by 0.95 to find that $11,875 of your distribution is taxable. Multiply your IRA distribution by your tax rate. In this example, if you fall in the 25 percent tax bracket, multiply $11,875 by 0.25 to get $2,968.75. If your IRA distribution falls partly in one bracket and partly in another, each portion will be taxed at the different rates. For example, suppose $5,000 falls in the 25 percent tax bracket and $6,875 falls in the 28 percent bracket. You'll pay $1,250 on the first portion and $1,925 on the second portion, for a total of $3,175. Multiply your taxable portion by 10 percent to figure your early withdrawal tax penalty unless you're at least 59 1/2 at the time of the distribution, or an exception applies. Finishing the example, if you're not 59 1/2, multiply $11,875 by 0.10 to find you'll owe a penalty of $1,187.50. This is in addition to the earlier tax liability you calculated.